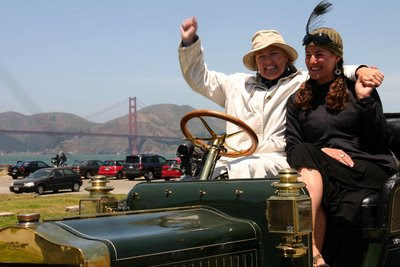 Emily Anderson and Christie Catania complete their 1-month drive across the country in a 1909 Maxwell! For more information about their historic drive check out the website (www.aliceramsey.org). There has also been a lot of news coverage: including a NY Times blog and SF Chronicle article.